Creasey Park is an incredibly versatile venue. The building is very child friendly with the building being set back from the road and car park. There's room outside for small and large bouncy castles for the children. All venue hire is inclusive of bar staff who serve a selection of beers, ciders, wines and a wide range of spirits. There are regular offers and promotions - be sure to ask what the current promotion includes. Typical Saturday evening function hire will be from 7 pm to midnight. This includes 7 to 8 pm to set up with last orders at the bar at 11 pm leaving at midnight. We can offer a selection of simple buffets, starting from £5 per person. The catering is flexible, you can cater for how many guests you choose and it is possible to swap items. There have been 0 reviews of Creasey Park Community Football Centre. 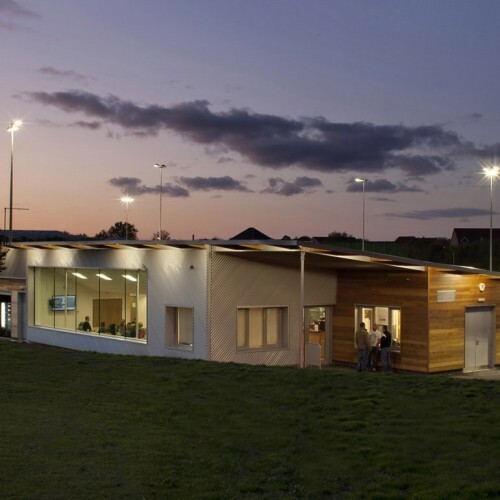 If you would like to send Creasey Park Community Football Centre a booking enquiry, please fill in the form below and click 'send'. Perhaps some of the following halls within 5 miles of Creasey Park Community Football Centre would also be of interest?